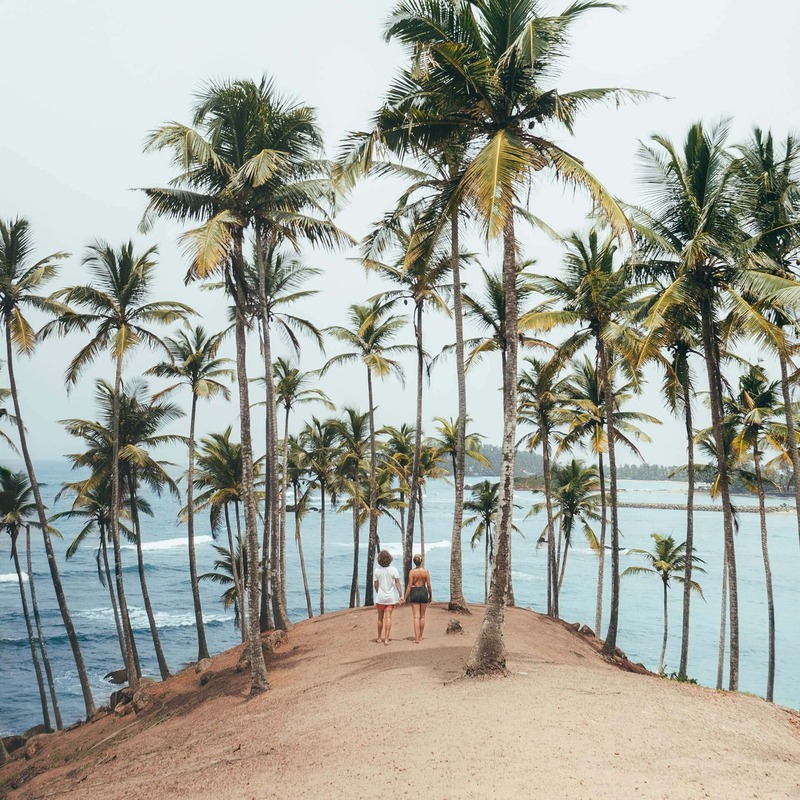 The Sri Lanka beaches are well known for their idyllic looks and beautiful scenery. The country owns many beaches like these. From east to west the beaches vary from long golden ones to the perfect wind and waves. 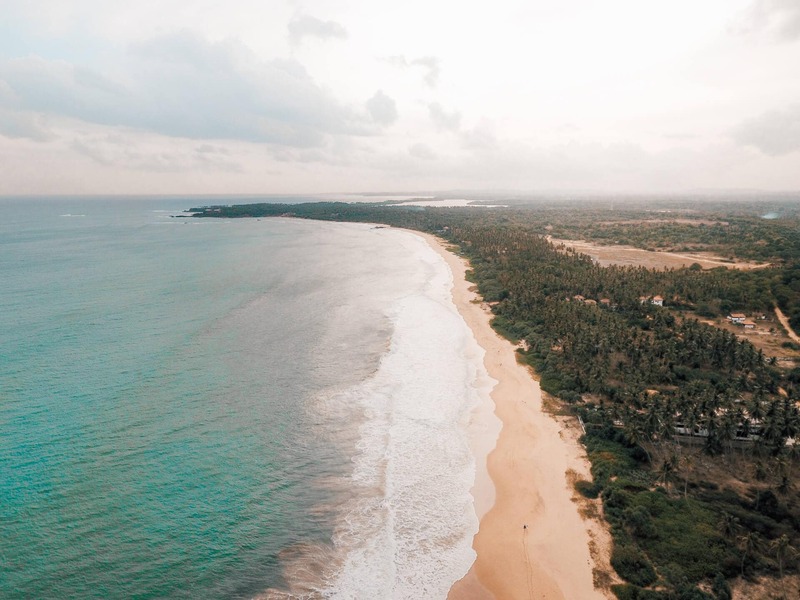 And the best part is, the majority of these Sri Lankan beaches are really as beautiful as you’ve seen in the guidebooks. 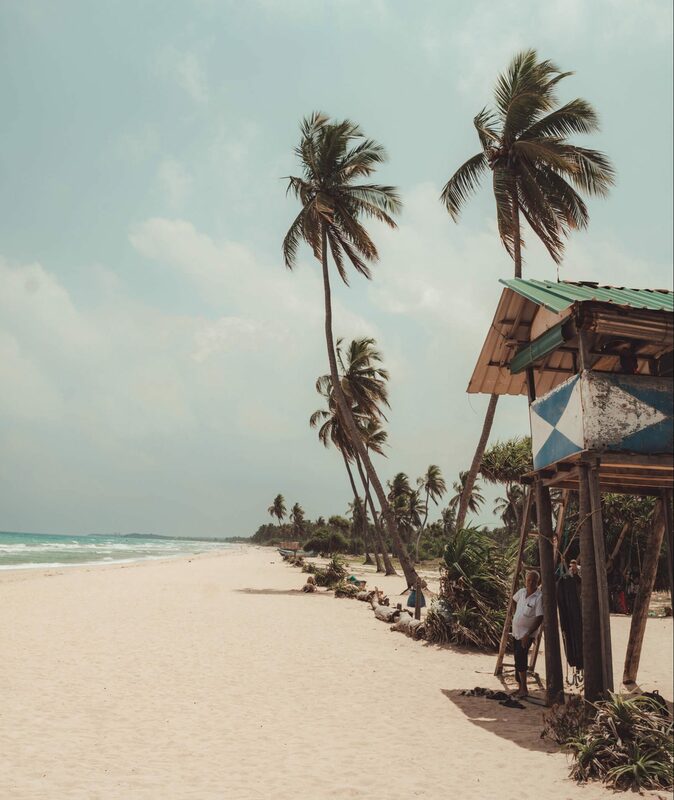 Visiting beaches is an absolute Must Do in Sri Lanka! 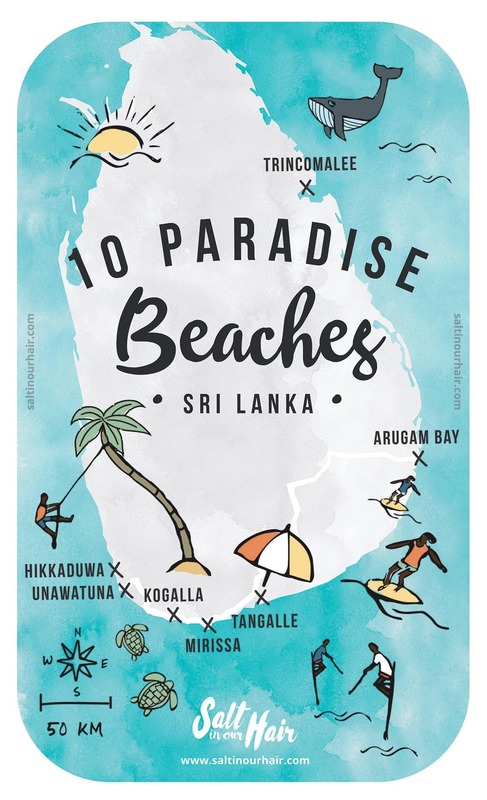 This guide to the best beaches of Sri Lanka includes 0 – 5 ratings for crowdedness and surfing. 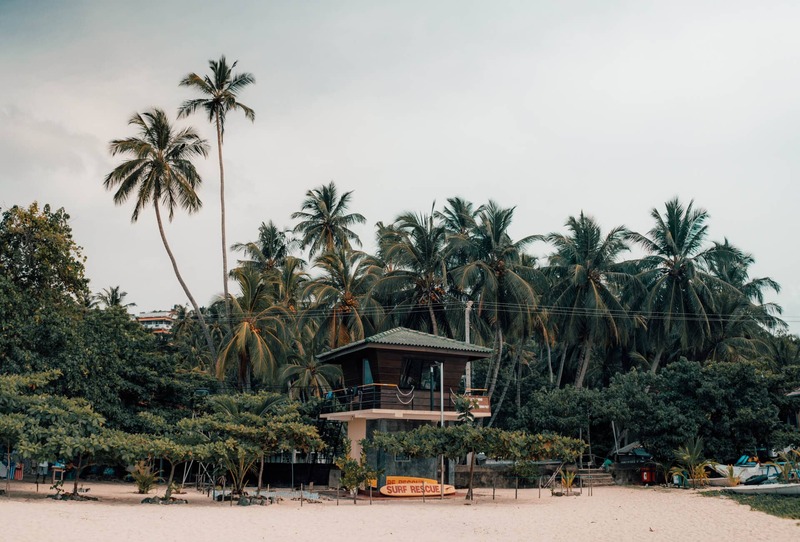 Our absolute favorite beach of all the Sri Lanka beaches we’ve seen is called Wijaya beach. It’s a clean, white sanded beach with palms leaning over the water. Don’t be surprised when you will see the little turtle heads pop up out of the sea at the end of the day. The coral reef in front of the beach forms a natural swimming pool where you can take a swim. Mirissa attracts all kinds of people, surfers, swimmers, and sunbathers. The 2km long Sri Lankan beach, divided by the Parrot Rock is full of great restaurants and bars. 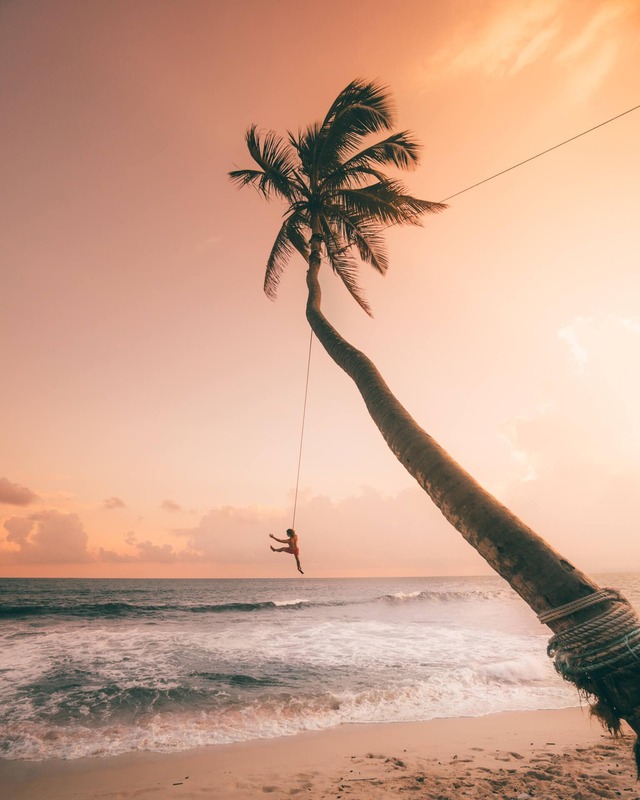 Mirissa beach is one of the most well-known beaches in Sri Lanka. 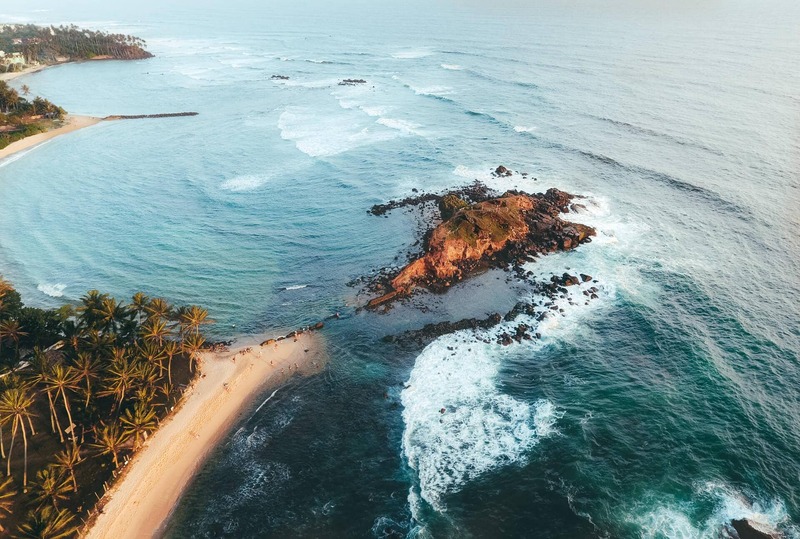 The left side of the bay is particularly popular with snorkelers while the right side of Mirissa Beach is a great surfing hot spot. You can climb up on the Parrot Rock by walking through the water, but we didn’t see any parrots. A tiny secluded beach and a little hard to reach. There are one small bar and a local lady selling coconuts. Enjoy an incredible sunset from Secret Beach. 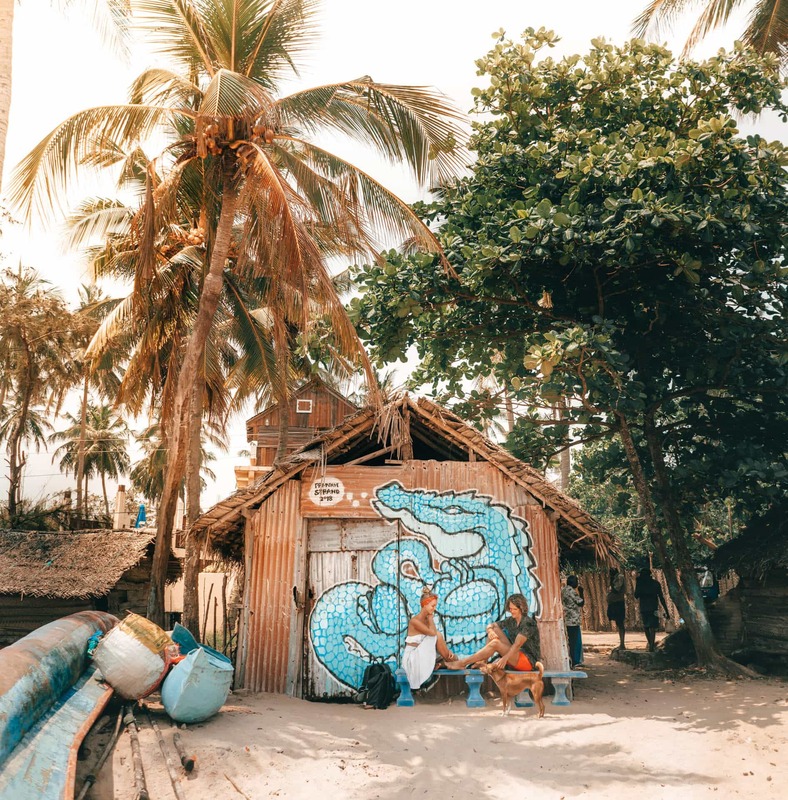 Hiriketiya Beach, also called Hiri Beach, is getting more and more famous for its waves surfers find Hiri as a perfect place to hang out for a while. Rent a board and maybe get a lesson directly from the guys on the beach. 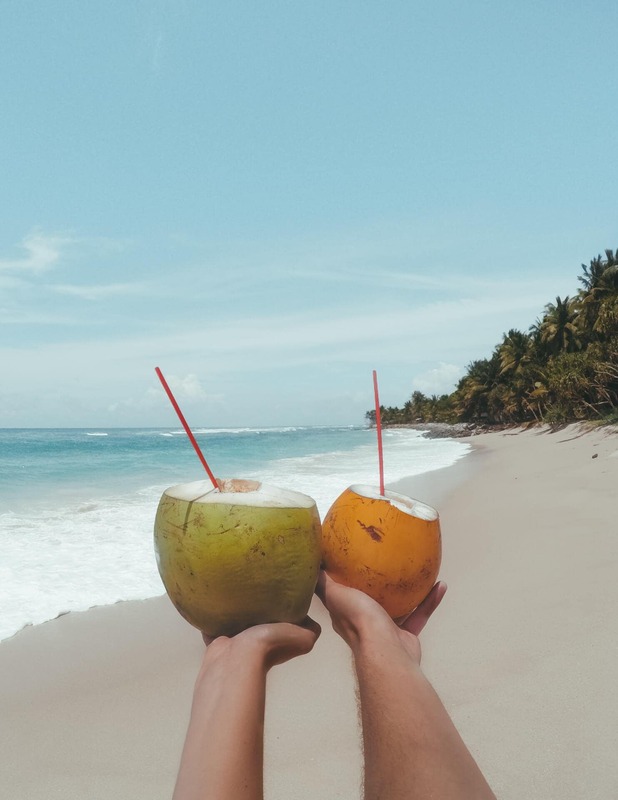 Trincomalee Beach and Nilaveli Beach are 10-minutes away from each other and belong to one of the greatest beaches on the east coast. Tip: From March to August you will have the chance to spot dolphins and whales. 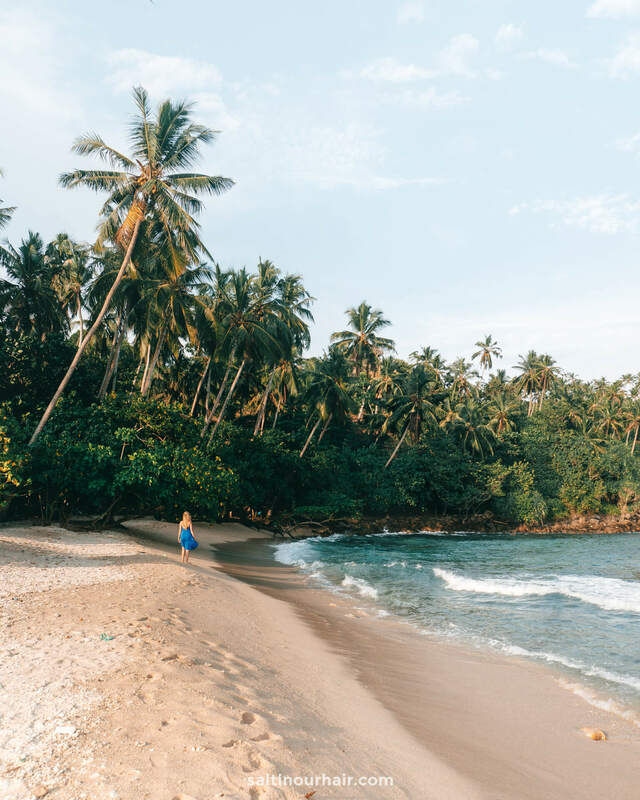 Hidden on the south-eastern coast, Tangalle is one of those Sri Lanka beaches that are made for the paradise seekers. It’s a little bit hard to reach since it’s dislocated from the usual Sri Lanka route but so worth a visit! Tangalle beach is very quiet and only contains a handful of visible resorts. If you’re planning to visit in September or October than keep in mind that swimming will be difficult due big waves. 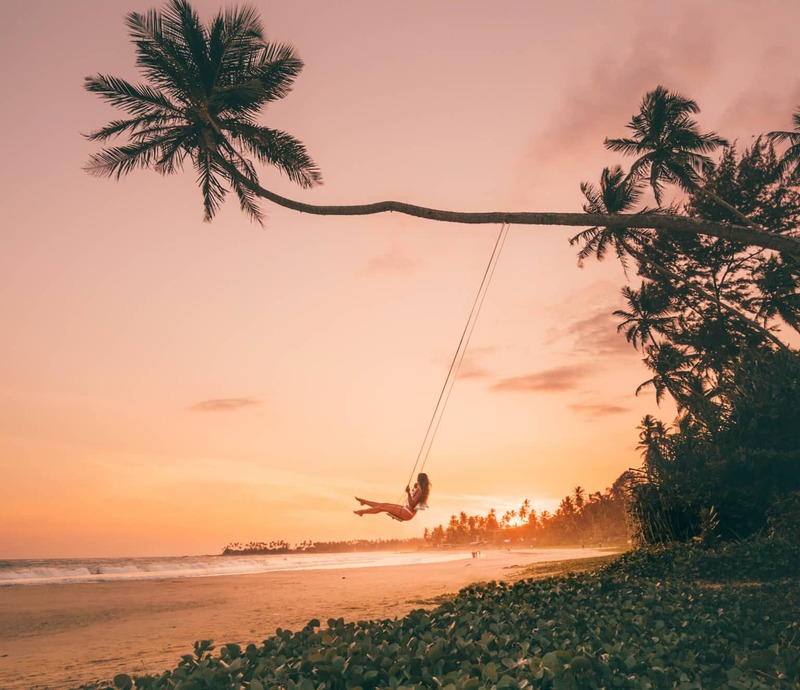 Koggala is a relatively unknown beach paradise in the deep South of Sri Lanka. It’s located between Unawatuna and Mirissa. 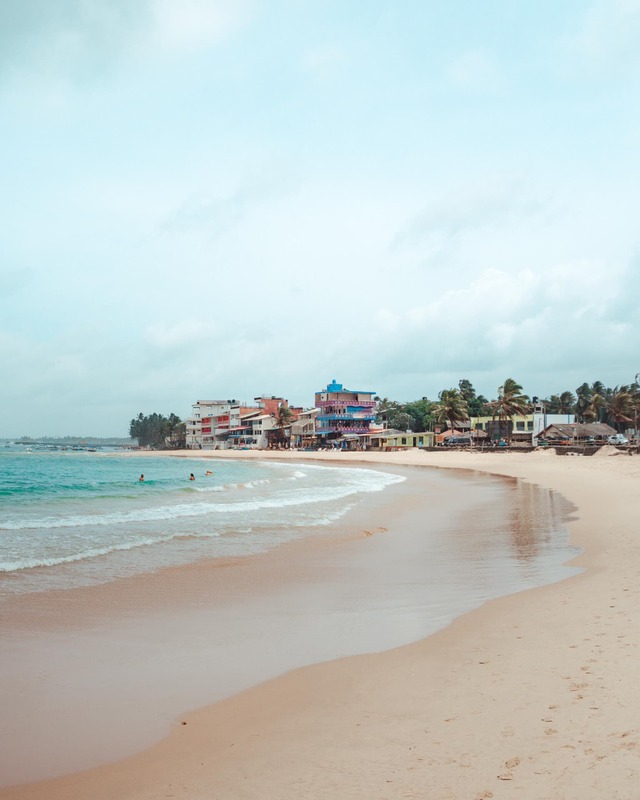 The white sand and the few people that are on the beach makes Koggala beach a great location to stay for a little while. Koggala also has a small rainforest reserve where they offer boat trips. 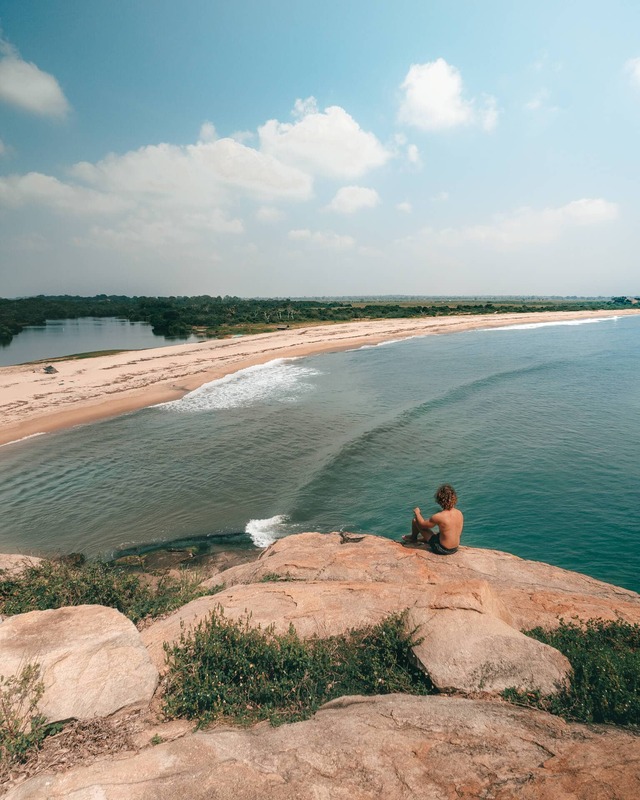 Arugam Bay, located on the east coast, is very famous for its surfing points that attract surfers from all over the world. Many of them make Arugam Bay their home during the surfing period. Yearly International surf competitions are organized in Arugam Bay. It really depends on the tourism of the surf season so please note that some hotels will be closed when you visit outside that season. From Arugam Bay, you can go to Ella or one of the national parks Yala or Udawalawe. Swaying palms, golden narrow sandy beach with a few dozen simple beach bars and restaurants. 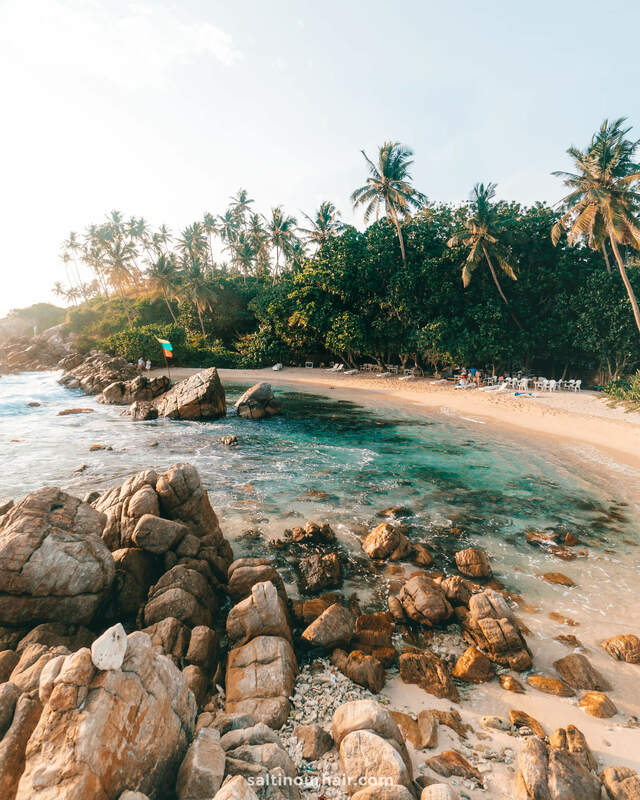 Unawatuna is the most popular beach of the southern Sri Lankan coast. 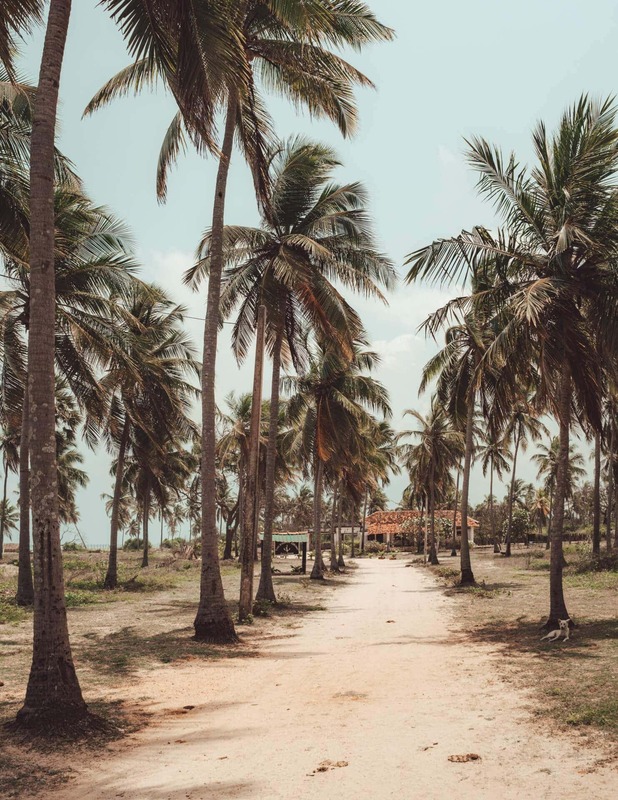 When you say busy in Sri Lanka, you cannot compare it to the busy beaches of Thailand or Spain. 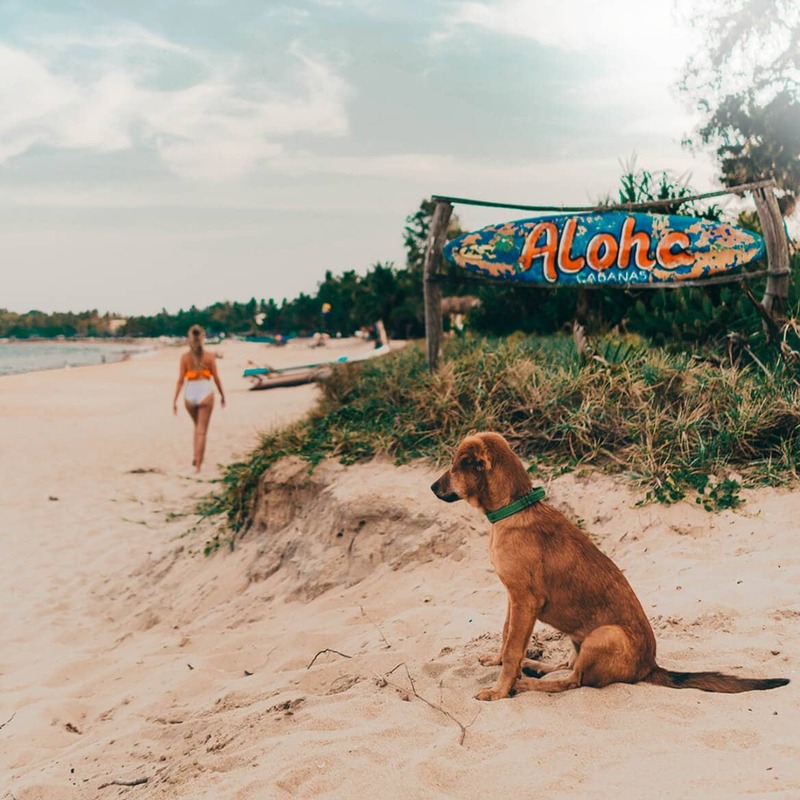 Unawatuna is a great laid back village with the beach located in a bay, which means that you can safely swim. 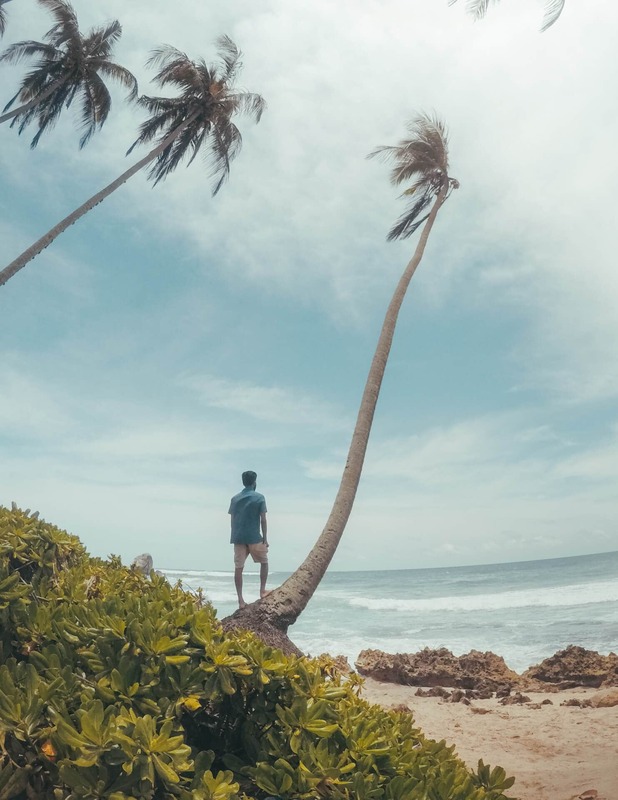 The beach of Hikkaduwa is one of the Sri Lanka beaches that is located on the west coast and the closest to Colombo. Sunsets on this beach are priceless. It’s good to stay overnight a little bit out of town since the tourism can be a bit crazy in Hikkaduwa center. 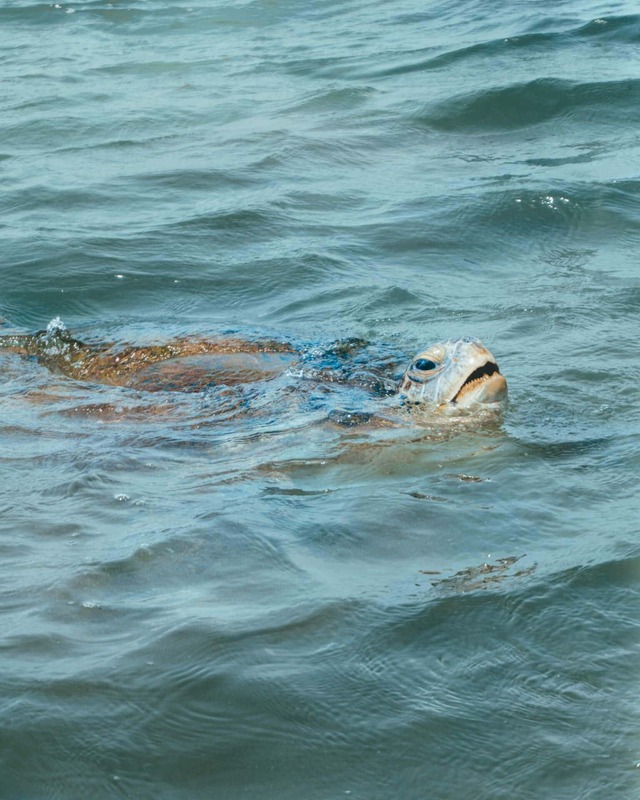 Hikkaduwa also has a few huge turtles that will swim near the beach.